Are you too busy to scrapbook? I know with all the end of the year school activities, parties, and graduations it’s just a busy time in our lives. Helmar understands that as well, they have a Quick-Fix Adhesive Runner that I use to help me speed up the process completing cards and layouts. It’s quick and easy to apply. It takes only a little adhesive to the corners of my photos and paper layers to complete a project. It’s great to have access to so many products that enable us to spend more time making memories and less time trying to preserve them! Special thanks to Karen Foster Designs and Helmar Adhesives I was able to create this quick layout the weekend of my son’s graduation. 1. Cut a piece of Karen Foster pattern paper to 7 x 9 inches. Distress the edges of the paper with an ink pad. Mount this on the center of your page using Helmar Quick-Fix Adhesive Runner. 2. Use a piece of 6 x 6 inch ledger paper, print your journaling or quote on it, distress with ink and mount on your page using Helmar Quick-Fix Adhesive Runner. 3. Use Helmar Liquid Scrap Dots to embellish the pages with Prima Flowers. 4. Add the Karen Foster graduation stickers with Helmar Liquid Scrap Dots so they are raised off the pages for added dimension. 5. The last thing I did was add the chipboard title using Helmar Liquid Scrap Dots. Pssst I have a confession to make….I am guilty of saving everything. I keep cards, notes, tags, dried flowers and trinkets from every occasion. To keep all of these treasures together (and keep my dear hubby happy) I make a keepsake box for them. Pretty boxes make perfect gifts special as well. Another suggestion is to fill one with sweets treats, a stationary set, or place a gift card inside. This treasure box would make a perfect gift in itself! Ribbons by Adornaments, Close to my Heart, and Tulle from Michael’s. 1. Measure the box that you want to cover. 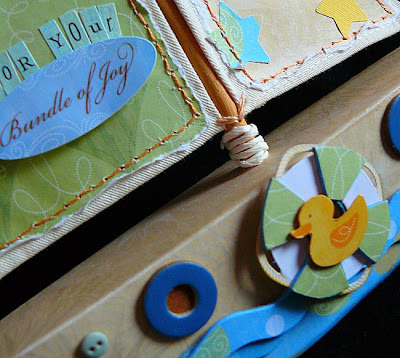 Cut pattern papers ½ inch larger to allow you enough room to fold pieces over the edges. 2. Adhere all the pattern papers to the Prima Wood Box using Helmar Acid Free Glue. Use sandpaper to smooth any papers that overhang the edges of the box. 3. 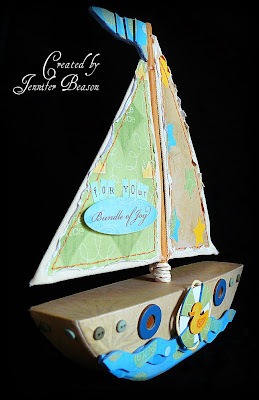 Punch out the die cuts and chipper shapes and glue to the box using Helmar Acid Free Glue. Adhere the chipper shapes to the center of the flowers using Helmar Liquid Scrap Dots and glue to the lid. 4. Glue all four silver box feet to the wood box using Helmar 450 Quick Dry Adhesive. This adhesive is strong enough to hold the feet without the screws but I drilled holes for all screws for added strength. 5. Measure the box lid for the silver pull handle placement and drill holes in the lid. Glued the silver pull handle on the box with Helmar 450 Quick Dry Adhesive and secure the hardware to the box with screws. Just a bit of bling can make all the difference & a GIVEAWAY!!!! Hi there! 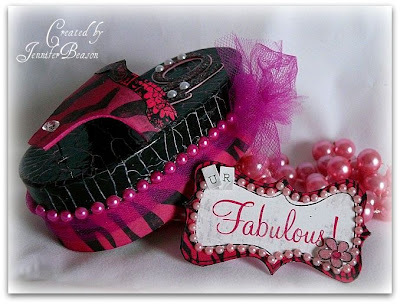 Today I'm going to show you a project that I did where I added a bit of bling to give the layout a bit of pop. I love all of the Helmar adhesives and one of my favorites is the Gemstone glue . I use it all the time! It make adding gemstones, pearls, beads and other embellishments super easy! Here on this layout you can see that I just added enough to make the embellishment more interesting. I noticed that when I added the glue to the paper and then applied the gemstones that the paper didn't curl or buckle. How cool is that! You can add as much or as little to your projects as you want. It also works well on acrylic, cardstock, chipboard, foam and felt embellishments. A huge shout out to Scribble Scrabble for supplying so generously to the design team these wonderful paper collections. For this project I used the Carmen's Collection line of papers. So pretty! And now as promised Helmar is having another giveaway!!!!! See these?!?!!? These adhesives rock!!! You have the opportunity to win an adhesive runner with two packages of refills. Get this the refill packages have two in them each for a total of 5!!! Plus you could win a bottle of gemstone glue!!! Just the Craft Glue Please! Once and a while I like to sit down and actually finish a layout in one sitting - lol! SO I grabbed a few papers, pics an alpha and my Premium Craft Glue. Here's a super simple layout I created which is really out of my comfort zone. And the only adhesive needed was my Helmar Premium Craft Glue! It adheres great to pictures and paper. And, like always, I have to glue my adhesive backed letters on ;) And the craft glue works great for that too. Challenge yourself to create out of your comfort zone and see what you come up with! It’s the end of the school year and a time to think about what to do with all the graduation photos taken recently. It may be kindergarten, high school or even a college promotion nevertheless all worthy of a special book. Well, here’s a different twist on a graduation album. I made this book for my son that is graduating this year. Cosmos Cricket Lil’ Man Collection may have been designed with a younger child in mind but I used it for his high school because I love teal, red and green colors. The travel theme is perfect for the journey ahead; especially for my son in particular, he’s ready to hit the road for college. This is a heartfelt book which shares parting thoughts to my son expressing how difficult it is to let him go. Creating this album was therapeutic for me helping me prepare for an empty nest. The good news is you don’t have to wait for graduation or a big milestone in a person’s life. Now is the perfect time to create a scrapbook for someone special! 1. Distress the Zutter Cover-all using an ink pad rubbing it all over the edges of the album cover and page inserts. You can purchase precut album pages but for this album, I cut papers of my choice and add some envelopes so that it all coordinated with the Cosmo Cricket Lil’ Man pattern papers. 2. I cut, tore and distressed pattern papers with sandpapers. Apply the papers to the album using Helmar Acid Free Glue. 3. Other adhesives used: On the cover, I used the Helmar Liquid Scrap Dots to give the title added dimension. Then I added the photos using the Helmar Quick-Fix Adhesive Runner. The ribbons and embellishments were attached using Helmar 450 Quick Dry Adhesive. 4. All the text and journaling was placed on the pages and then bound them together using the Zutter Bind-it-all and O’wires. 5. Once the album was assembled, I added the photos, ribbons and paperclips. Twice the fun with Helmar and Karen Foster Designs! Today, I have two Helmar USA projects to share with you! Both of them feature Karen Foster Designs, one of Helmar's preferred partners. This company was so generous with their supplies! They gave us so many themed papers, stickers and embellishments to play with, it was hard to choose what to do. I finally decided on using the Sweet Sixteen and a combination of the Cruise and Baby Boy lines for my projects. After painting the lid of the box black, I used some of the 2 step Crackle Medium. When the lid was dry I rubbed some light pink paint into the cracks and then quickly wiped off the excess paint with a damp rag. The rest of the box was then covered with patterned paper using the Acid Free Glue and stickers. Before adding the 16 and flower sticker to the box and card, I brushed on a thin layer of the Acid Free Glue and then added some translucent glitter. Karen Foster Designs - Patterned paper and stickers. My next project is all about a baby!!! This sailboat was purchased from Michaels also. They had a bunch of other nautical items, so if you wanted to you could alter a whole set for a nursery!!! Most of this project was put together using the Helmar's Craft and Hobby PVA Glue. For some dimension on the Lifebuoy, duck and "Bundle of Joy" sticker I used Liquid Scrap Dots. The tiny buttons were applied using Gemstone glue. Helmar - Craft and Hobby PVA Glue, Liquid Scrap Dots and Gemstone glue. This month, I have had the pleasure of participating in some fantastic challenges over at My Scrapbook Nook.com. and one of the fun challenges they inspired us to do was to create some "yummy cards." I took advantage of the challenge ands created these sweet treats. Hope you enjoy the inspiration sweet! Fold Edges of paper and adhere with Liquid 450. Dip ribbon trim in Fabric Stiffner and let dry. Trace inside of card from the completed pie piece. Cover with cardstock and add chipboard element. Add stiff trim to top edges of card and double layer for thickness. Pleat long piece of patterned paper and adhere to card base. Add trim with Liquid 450. Add fluff, with Premium Craft Glue. 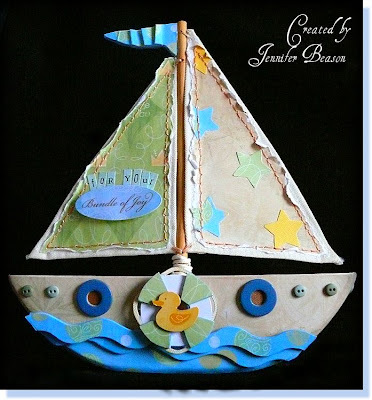 Add chipboard, felt and cardstock accent with Premium Craft Glue. Have a sweet treat kind of a week! This month I had the pleasure of being creative with our preferred vendor Karen Foster Design. Besides crafting I love to hike and this Karen Foster paper was perfect! I used Helmar 450 Quick Dry to adhere the rick rack and used Helmar Preimium Craft glue for the photos and all the paper adhering. I created fun and fast Easter baskets for quick little gifts this year using Helmar Acid Free Glue and Karen Foster patterned paper...and Helmar 450 Quick Dry is just the adhesive for those flowers. It dries clear and does not bleed through. Then I skipped right on to Christmas to use Karen Foster Sickers and patterned paper to create this festive layout. Helmar Liquid Scrap Dots added just the right touch to add dimension behind those stickers. Thank you Karen Foster for keeping us crafters with the perfect themes to scrap our every memory! Keys, keys, keys they are everywhere. Keys play an important role in our daily lives. I use one for my house, another to open the doors to my workplace and one to secure my gym locker. Oh, not to mention all the spare keys that I own in the event that I misplace one. Well, I turned Clear Scraps Mini Acrylic Albums into key chains! This is a great way to personalize another area of my life, in addition to making it easier to identify and locate those important keys! I took one page from each album; my thought is no one will notice one page missing from each album. Here’s how I did it…. 1. Remove the Protective Film from each acrylic shape. 2. Dab each acrylic shape with alcohol inks. I find it’s best to lay these on white cardstock so I can see my work. 3. Apply a rub-on quote. 4. Brush on Helmar Acrylic Sealer. Here’s a little tip, place a pair of needle nose pliers through the hole in the album to hold it secure as I brush on the sealer. Place the handles of the pliers in a cup so the album is suspended in the air to dry. On the cupcake, I applied a piece of tissue paper to the back of the design. Then applied another coat of Helmar Acrylic Sealer. 5. Allow acrylic shapes to dry completely. 6. Place a jump ring to each to each shape and attach a key ring. Now you are ready to add your keys!